On Thursday, September 17th I went to the art galleries at CSULB and I met one of my classmates named Natalie Marquez. She is majoring in child development and this is her 3rd year at CSULB. She wants to double major in family life education. In her free time she likes going to different food places and hiking. I also like hiking and we were talking about hiking places that we’ve been to. When we talked about if art matters she said that it does and I also think that art matters. Natalie was saying that when it comes to art not everything is the same, everyone has different creative ideas. She said that there are no rules and you can do whatever you want. My response was that even though there are all these horrible things going on in the world, art can be used as therapy and help us deal with our everyday struggles. We agreed that without art life would be boring. We need art. 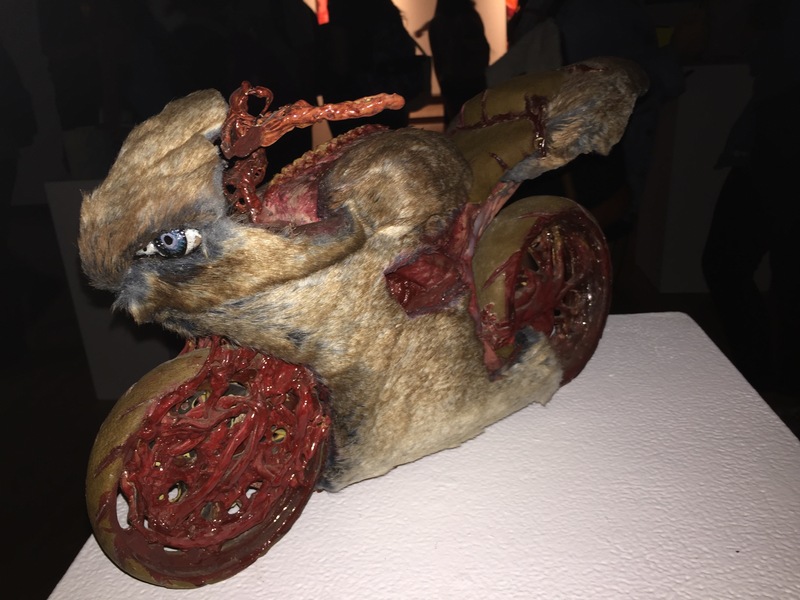 Here is a picture of an animal motorcycle by Fu Shuai. 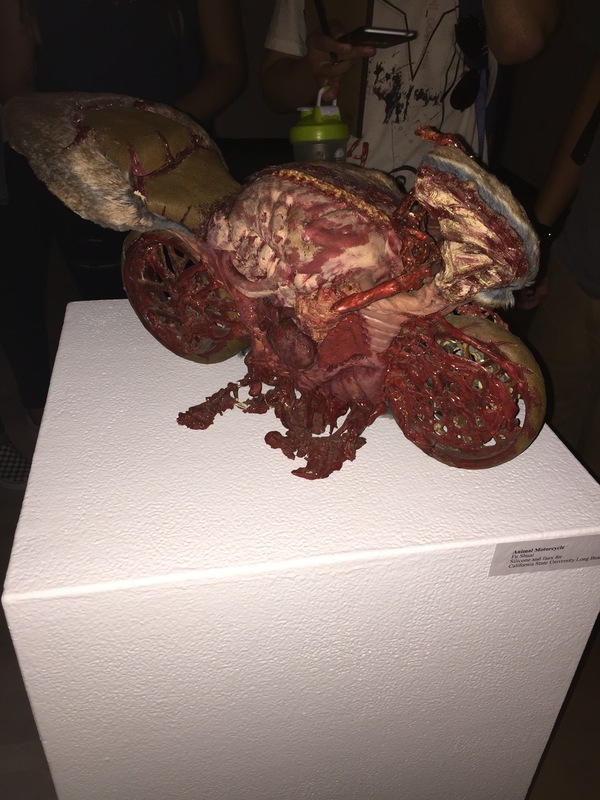 Natalie and I thought this piece was amazing and kind of creepy.